TigerPak stocks a wide variety of 2 Mil, 4 Mil and 6 Mil Loc-Top¨ Premium Clear Zippered Poly Bags for all of your packaging and shipping requirements. The same high quality 2 Mil and 4 Mil Loc-Top¨ Premium Zippered Poly Bags but with a white block area for easy marking. 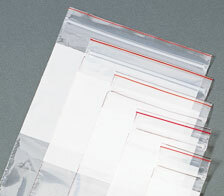 Assorted size package of our Loc-Top premium clear 4 mil reclosable zipper poly bags. 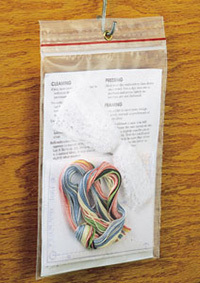 An assorted size package of our Loc-Top premium white block 4 mil reclosable zipper poly bags. 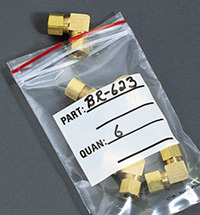 Economical re-sealable zipper closure clear polyethylene bags, 2 mil and 4 mil thicknesses available. 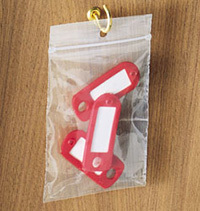 Economical re-sealable zipper closure polyethylene bags, clear with a white block area for marking in 2 mil gauge. 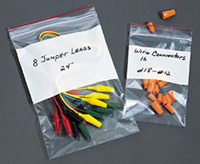 Economical 4 mil gauge polyethylene bags with zipper closure and a metal eyelet for hanging. 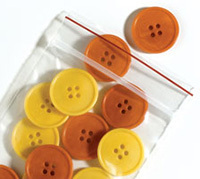 Economical 2 mil gauge polyethylene bags with zipper closure and a punch hole for hanging. 2 mil polyethylene bags in several styles. These poly bags feature a double pocket for specimen along with documentation. They meet OSHA specifications of bio-hazardous material identification. Available closures include: Loc-Top resealable zipper closure; Open-End: for heat-sealing or stapling and Tape: leak and tamper-evident.